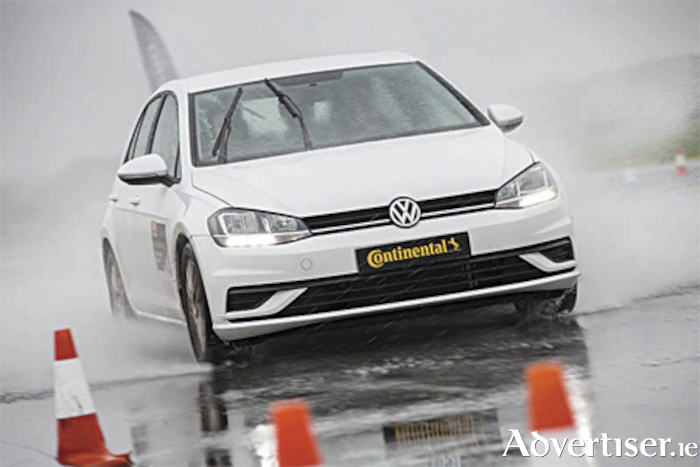 Premium German tyre manufacturer, Continental Tyres, is hosting its ‘Vision Zero Live’ driving safety event at Mondello Race Circuit, County KIldare this Saturday, October 13 from 9.30am to 4pm. With complimentary lunch, those in attendance can avail of the opportunity to get behind the wheel of a fleet of cars on the iconic Mondello track where a range of tyre safety and automotive technology demonstrations will take place. This free to attend event is being organised as part of Continental Tyres remit to promote a better awareness of road safety and the latest automotive and tyre technologies that are helping to improve road safety. Specifically, there will be a range of safety and automotive technology demonstrations run by advanced driving trainers with the opportunity for all participants to get behind the wheel and experience manoeuvres such as an emergency stop at a range of speeds in dry and wet conditions to demonstrate the distance it can take to stop a vehicle, along with a number of other compelling driving modules to highlight the role of driver awareness and new automotive technologies. There is a fleet of different cars used for the demonstrations, to include BMW, Mercedes, VW, Volvo and Ford models. Irish drivers, in particular, young drivers, are requested to register for the event by sending an email to [email protected] – spaces are limited so please register early. Page generated in 0.0935 seconds.